Plants vs Zombies 12" (30cm) Peashooter Plush. Your first line of defense against the zombie apocalypse! Keep this Peashooter close by and you'll never have to worry about stray zombies. It stands roughly 12" tall and features a PP cotton filling and a pea that can be removed while still attached to the plush. Suitable for ages 2 and up. Great for playing with or displaying in your collection and a perfect gift for that Plants vs Zombie player in your life. 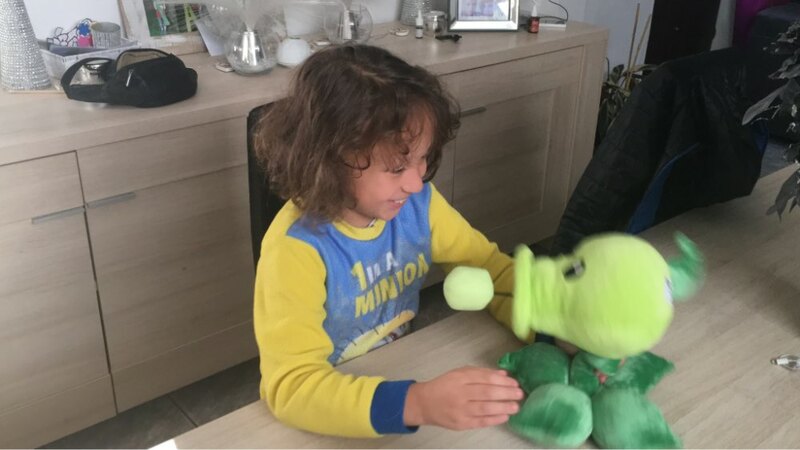 Plants vs Zombies 12" Peashooter Plush ships directly from the manufacturer and shipping is free. 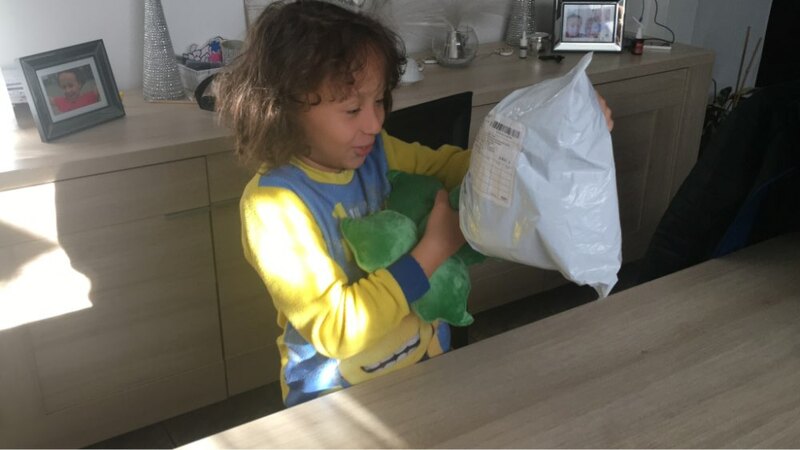 Great quality, kids super satisfied. 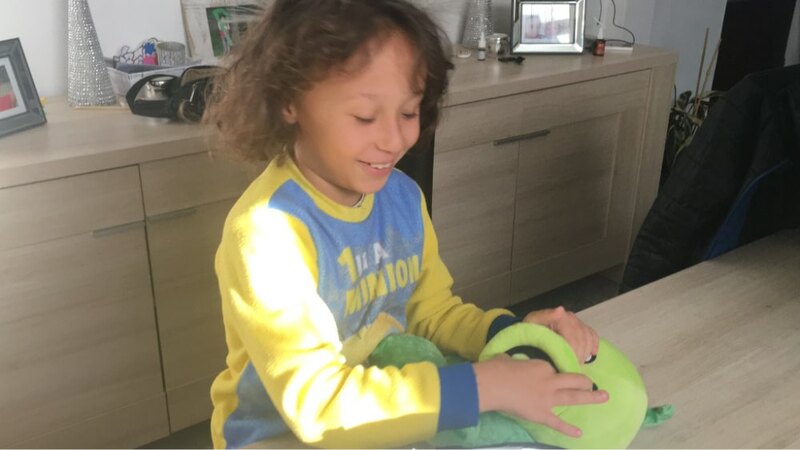 My son was super deligthed to receive his Peashooter plushie just on time for his birthday! 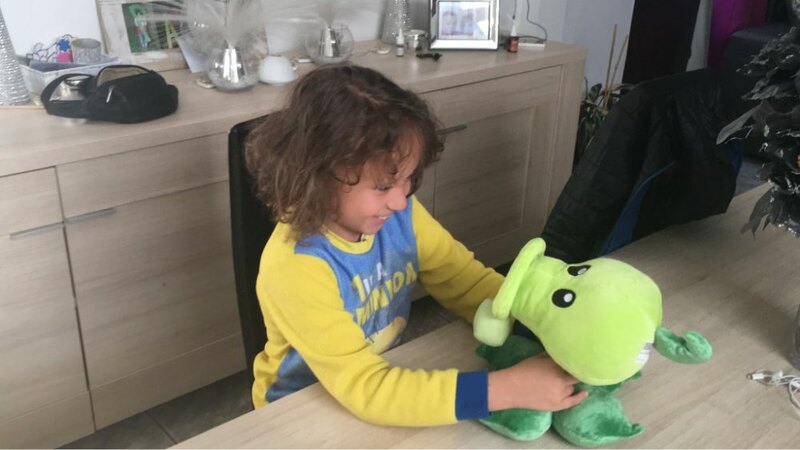 The plushie is well-made and captures the peashooter character perfectly in its colours and details. It is bigger and better than we anticipated. I love that the pea ball in its mouth stays there on a string so it can be played with but won't be easily lost. This is a really nice plushie!